Home Articles Safety & Insurance Will School Buses Be Safer if Their Drivers Are Monitored? There are many things to worry about when your child heads back to school—but school bus safety shouldn’t have to be one of them. Miranda's Law hopes to change that. The first day of school can be a tough day for kids, but it can carry anxiety for their parents as well. How a student will get along with their classmates, if he or she has all the right supplies, and whether or not they’ll like their teacher are all concerns that can cross a parent’s mind. But a pair of U.S. congressmen want to make sure the list of first-day fears will never include worrying about a child making it safely to school. Representatives Josh Gottheimer, D-NJ, and John Faso, R-NY, have introduced a measure intended to help prevent school bus accidents. Called Miranda’s Law, the bill was inspired by a rash of recent fatal crashes involving the vehicles, including incidents in New Jersey, Maryland, and Tennessee. It aims to stop such tragedies before they start by keeping a closer eye on bus driver behavior—even when the employees are off-duty. Should it pass, the measure will usher in some significant changes to the way school buses are manned. But some are worried that the idea may sacrifice too much personal privacy for the sake of security. The legislation, which was proposed earlier this summer, calls for the construction of an Employer Notification Service (ENS) in order to combat the problem. The nationwide system would provide school districts and other employers of school bus drivers with “real-time, automatic” updates on the license status of those drivers. Changes triggered by a moving violation, crash, or license suspension would be specifically targeted, though the system would monitor any roadway offenses involving the employees, whether or not they were working at the time. The nationwide system would provide school districts and other employers of school bus drivers with “real-time, automatic” updates on the license status of those drivers. Implementation of the service would be the responsibility of the Federal Motor Carrier Safety Administration (FMCSA), the bill suggests, and states would have to participate in the system, or else lose out on their federal highway funding. Similar setups already exist in 17 states, which use the systems on a voluntary basis. And a recent pilot program conducted by the U.S. Department of Transportation (DOT) was deemed successful enough for the agency to officially recommend the expansion of ENS usage. Current FMCSA rules require drivers to self-report any status change and contractors to check driving records of their employees on an annual basis. But Gottheimer and others argue that these regulations give drivers far too much wiggle room, allowing “up to 364 days” to lapse between an incident and its official documentation. According to the DOT, anywhere from 50% to 80% of drivers fail to self-report an issue. And in the meantime, those who stay mum can continue piloting the massive vehicles—to the potential detriment of children’s safety, Gottheimer said. The question of driver competency has emerged in each of the recent high-profile cases. 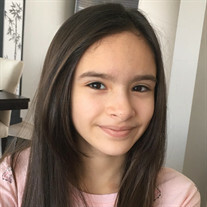 The bill’s namesake, Miranda Vargas—a New Jersey 5th grader—and her teacher were killed on a field trip this May after the bus they were riding in crashed into a dump truck. The driver had reportedly made an illegal U-turn just before the incident, and it was later revealed that his license had been suspended 14 times in 43 years, with about half of those cases stemming from moving violations. Investigations into a separate tragedy—which left 6 Baltimore residents dead after the school bus smashed into a city bus 2 years ago—focused on the school bus driver’s history of seizures, which officials said should have prevented the man from having a license at all. Still, it’s unclear how much the ENS system would have helped in these specific cases. All three drivers had valid licenses at the time of the incidents, though the Tennessee driver also reportedly had a history of crashes. The New Jersey driver’s last reported license suspension occurred more than a year before the accident, and his license was free of any points at the time. And some have called the system an invasion of privacy, with the “instant” availability of a license status change meaning some drivers’ personal information will be tracked at all times—by employers who would be required to do so by law. Yet that knowledge could still prove beneficial for riders—and parents—as numbers compiled by the DOT show that those with suspended licenses are 14 times more likely to crash than other drivers. Thankfully, such tragedies are considered statistically rare. From 2007 to 2016, just 0.4% of total traffic accidents were “school transportation-related,” according to the latest numbers available from the National Highway Traffic Safety Administration. And while 1,282 people were killed in those incidents, only 9% of the fatalities were occupants of the school vehicles. 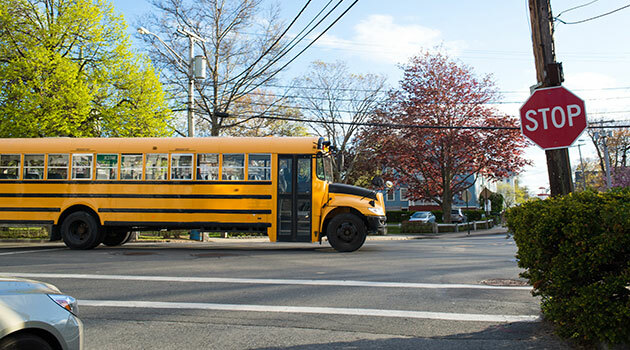 All told, 281 school-aged children lost their lives in school-related crashes between 2007 and 2016, though death was much more likely to occur outside of the buses. Nearly half of those fatalities were occupants of other vehicles, while 98 were pedestrians and 8 were bicyclists. If the worst were to happen on the way to or from school, it seems, the safest place for a child may actually be inside of the school bus.